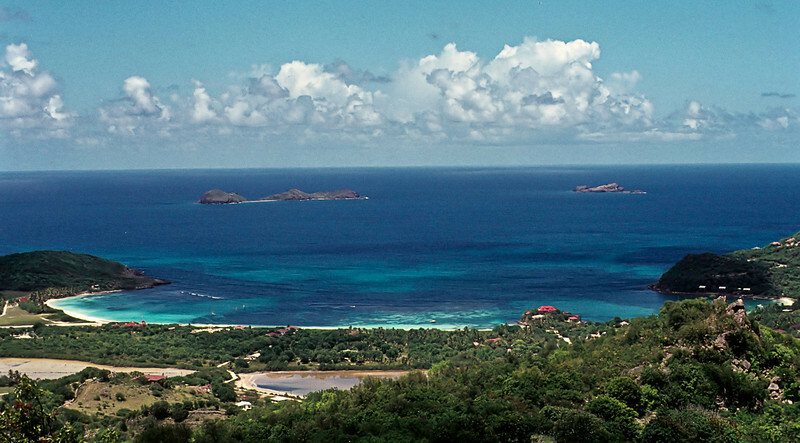 Saint Barthélemy, officially Collectivité territoriale de Saint-Barthélemy was a virtually unknown step-child of St Martens in the 70s. Just over 20 square kilometers, even today the population is under 10,000. When we first visited in the late 70s, there were far fewer and many still wore ancient Breton styles. The characteristic blue of Brittany and the starched white bonnets seemed so exotic on an arid tropical island. Even now I see in memory the splayed-toe feet of the basketmaker we met who had never worn shoes.